We are indeed privileged to dedicate this edition of the Koren Talmud Bavli in honor of the generous support of Leo and Sue Noé of London. The name Noé is synonymous with philanthropy. Te family’s charitable endeavors span a vast range of educational projects, welfare institutions, and outreach organizations across the globe, with a particular emphasis on the “nurturing of each individual.” Amongst so many others charitable activities, the Noés have been deeply involved with Kisharon, which provides the British Jewish community with vital support for hundreds of people with learning difculties and their families; they provide steadfast support of SEED, which stands at the forefront of adult Jewish education in the UK; and Kemach, an organization in Israel that “helps Haredi students sustain themselves in dignity,” providing both professional and vocational training for the Haredi community in Israel. The Noés are not simply donors to institutions. Tey are partners. Donors think of a sum. Partners think of a cause, becoming rigorously and keenly involved, and giving of their time and energy. We are honored that they have chosen to partner with our two organizations, Shefa and Koren Publishers Jerusalem, enabling us to further and deepen learning amongst all Jews. Leo and Sue are the proud parents and grandparents of fve children and their families. Te next generation has been taught by example that with life’s gifs come the responsibilities to be active within and contribute to society – both Jewish and non-Jewish – as is consistent with the noblest of Jewish values. The Talmud is the cornerstone of Jewish culture. True, our culture originated in the Bible and has branched out in directions besides the Talmud, yet the later’s inﬂuence on Jewish culture is fundamental. 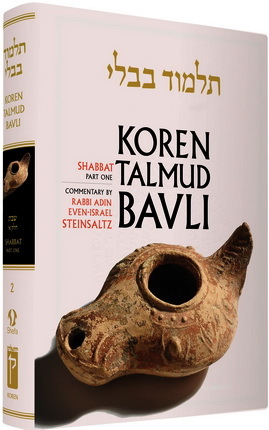 Perhaps because it was composed not by a single individual, but rather by hundreds and thousands of Sages in batei midrash in an ongoing, millennium-long process, the Talmud expresses not only the deepest themes and values of the Jewish people, but also of the Jewish spirit. 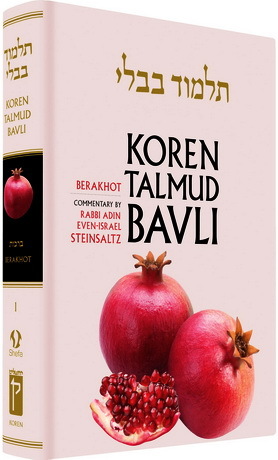 As the basic study text for young and old, laymen and learned, the Talmud may be said to embody the historical trajectory of the Jewish soul. It is, therefore, best studied interactively, its subject mater coming together with the student’s questions, perplexities, and innovations to form a single intricate weave. In the entire scope of Jewish culture, there is not one area that does not draw from or converse with the Talmud. Te study of Talmud is thus the gate through which a Jew enters his life’s path. 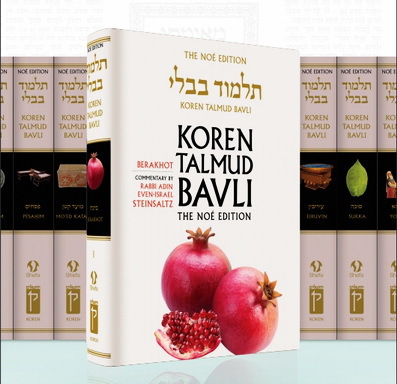 The Koren Talmud Bavli seeks to render the Talmud accessible to the millions of Jews whose mother tongue is English, allowing them to study it, approach it, and perhaps even become one with it. This project has been carried out and assisted by several people, all of whom have worked tirelessly to turn this vision into an actual set of books to be studied. It is a joyful duty to thank the many partners in this enterprise for their various contributions. 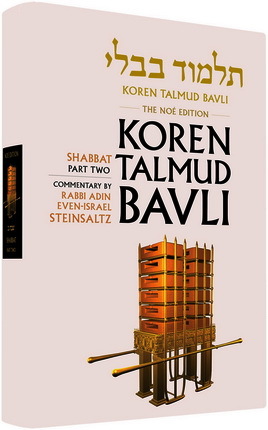 Tanks to Koren Publishers Jerusalem, both for the publication of this set and for the design of its very complex graphic layout. Tanks of a diﬀerent sort are owed to the Shefa Foundation and its director, Rabbi Menachem Even-Israel, for their determination and persistence in seting this goal and reaching it. Many thanks to the translators, editors, and proofreaders for their hard and meticulous work. Tanks to the individuals and organizations that supported this project, chief among them the Matanel Foundation and the Noé family of London. And thanks in advance to all those who will invest their time, hearts, and minds in studying these volumes – to learn, to teach, and to practice. Ого! Очень нравится структура текста, отличная полиграфия, обилие поясняющих рисунков! Эх, на русском и не снилось такое шикарное издание! Очень удобное издание для изучения Традиции - ориг. текст, перевод, обширные комментарии. Пусть это и не научное (т.е., критическое) издание, но для начинающих - самое то! Жаль только, что на русском вышли лишь неск. томов (включая совершенно бессмысленную Антологию Аггады), и - увы! - не в годы моей молодисти. Я тогда Светония да Плутарха читал (даже в ночные смены на заводе), а мог бы еще до прихода в Церковь читать то, что следует! Не жалейте денег - качайте!